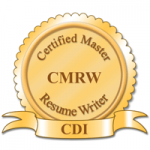 Congratulations on electing to maintain your Certified Master Resume Writer (CMRW) credential. One cover letter sample of your choice. Submit all materials in MS Word or PDF format to Director of Certifications, Gayle Howard, at gayle@nullgaylehoward.com no later than your renewal deadline. Each resume or cover letter should be saved as a separate document, but should be sent as attachments to one email.